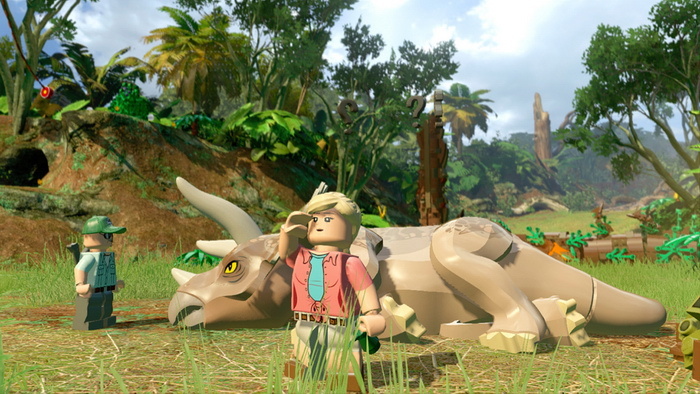 LEGO Jurassic World is the latest game in the never ending LEGO franchise, developed by Traveller’s Tales. It’s available on all platforms including last-gen and current-gen so I played it on the Playstation 3. I remember when the trailer came out in March and it got me quite excited for the game. The thing is, at that point, I had never played a LEGO game ever so in the last three months I have played ten other LEGO games to prepare for its arrival. There were some bad ones and some good ones – my favourites were Pirates of the Caribbean, Batman 2, and Marvel Super Heroes. For those that don’t know, the LEGO games are puzzle platformers based on specific licenses where you build or destroy things out of LEGO to progress through the adventure. You’ll usually get a lot of boss fights at the end of various levels and there’s usually an insane amount of collectibles for you treasure hunters. I just generally like to stick to the story missions and leave it there otherwise it would take me forever to finish the game. 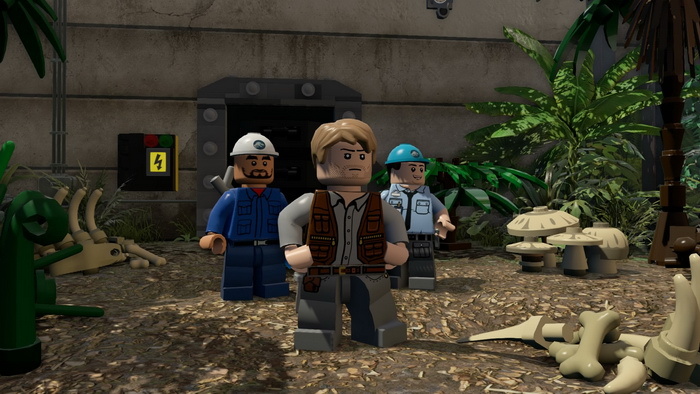 LEGO Jurassic World features all four movies and each movie contains five levels. There’s some open world segments in between for you to explore but I stuck to the mission path. All the levels follow events in the movie with some changes here and there to accommodate gaming mechanics. I started playing the Jurassic World portion of the game for obvious reasons. I still haven’t seen the new movie yet and in retrospect I wish I’d have waited to see it before attempting the game. But nevertheless, I’ve read enough plot spoilers to know what was going to happen in the movie anyway. After Jurassic World, I started at the beginning and worked my way through each movie. Jurassic World and Jurassic Park took me about 2 hours each to complete while The Lost World and Jurassic Park 3 only took me an hour and quarter to complete. So in total, I spent just short of 7 hours on the game. I found the game to be way too short to be honest with many missions lasting just 15 minutes or so. All the levels are incredibly straight forward – there was only a couple of moments where I couldn’t figure out what you had to do. The levels are all iconic scenes from the Jurassic Park movies so it was nice seeing them again. As I said, you can go back in free play mode with other characters to get collectibles but for me, this is just a neverending tedious task. As with all LEGO games, you’ll control multiple characters at the same time and each of them have their own abilities. Dr. Grant can put bones together while Ellie can sift through dino droppings or jump really high. In addition to the humans, you’ll also control the dinosaurs which I’m not overly fond of. Things like controlling a Triceratops to bash your way through rocks or even in the T-Rex battles where you’ll be fighting Velociraptors, the Spinosaurus or the Indominus Rex. You’ll require button mashing or button prompts to finish the battle. Just feels a little tacked on to me because the developers couldn’t really figure out how to create boss battles. 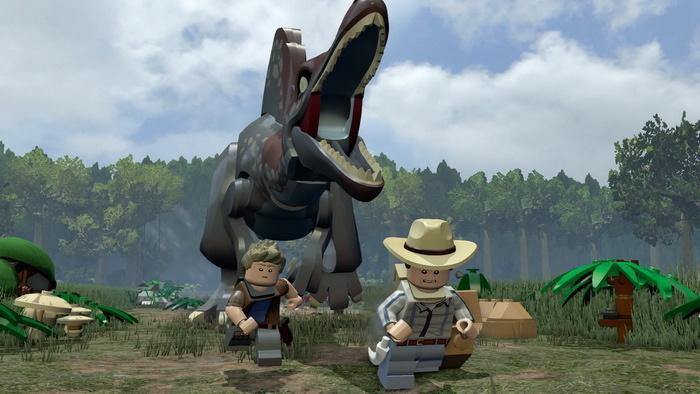 I do wonder if either they didn’t have enough time to finish the game or perhaps the Jurassic Park license just isn’t suitable for a LEGO game. I will say you’ll probably encounter quite a few bugs in your journey. On three occasions, I found three glitches that forced me to start a level from scratch and another time, it crashed on the loading screen. As with every LEGO game, you’ll get some of your characters stuck in various places and you’ll have to go back and get them. Other times, when you’re trying to switch to a specific character to complete the puzzle, it’ll take ages for it to select the one you need. This is unfortunately a common issue in all the LEGO games. One of the big pluses for the game is that this is the first LEGO game to feature sound bytes from the actual movies with the original actors. Not every character is. You’ll recognize Richard Attenborough, Sam Neill, Jeff Goldblum, Bob Peck straight away but some of the side characters, I’m sure, are sound alike actors. Personally, I don’t mind either way but I guess with a franchise like Jurassic Park, it’s better to have the original actors where possible. Equally, the sound effects and music is very faithful to the movies. You’ll easily recognize John William’s fantastic score. The graphics are quite nice even on my ageing Playstation 3 with some lovely lighting effects. There’s a few cinematic moments but I didn’t think those moments were impressive as Batman or Marvel Super Heroes. Overall, I’m sure Jurassic Park fans and LEGO game fans will eat this game up and love it but I personally found it a little underwhelming. Mainly due to the games what came before it. 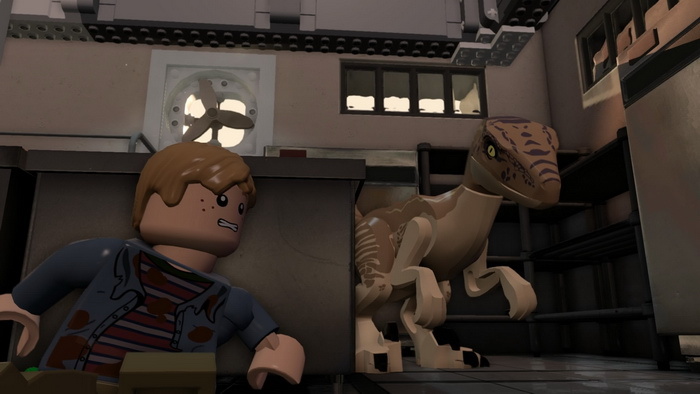 Yes, I love Jurassic Park and I’m glad to see it finally get a LEGO game but I don’t think it’s at the same level as recent LEGO games. It was cool seeing the iconic scenes from all the movies and the original sound bytes but I just wish the story missions had been a bit longer. El i-rex le pudo ganar al spino,el indominus rex tiene las minipuas del anqhilosaurus,las 2 puas en la cabeza son del allosaurus,los pinchos largotes en el cuello son del dipdocus, tiene el poder de camuflarse como el carnotaurus ó camaleon,cola de serpiente,los pinchos del brazo son de las puntas de la cabeza del velociraptor de jurassic park 3, manos de ceratoaurus,dientes de cocodrilo,largo de t-rex,la forma de caminar como el espino ó hadrosaurus.Asi para los que no saben t-rex+spino=indominus rex. It is first time I play this game. Hope I will enjoy.